While no one would mistake the floor of Macworld/iWorld for NAMM, there are a lot of companies exhibiting at this year’s show that aim to help Mac users make music. Sonoma Wire Works has been busy updating their popular line of GuitarJack audio interfaces for iOS. The GuitarJack Stage (shown above) ($299, shipping in a couple of months) can be used for live performances or recording. This 24-bit audio interface and pedal controller comes with four assignable foot switches, volume, tone and gain knobs. It works great with the company’s own GuitarTone app for iOS, but supports many other iOS music apps as well as Macs and PCs. The GuitarJack Stage features quarter-inch input for instruments and microphones and can even charge your iPad while you jam. The company is also taking pre-orders for DrumCore 4, a 64-bit plug-in and stand-alone drum app for Macs and PCs. DrumCore comes with 24-bit audio loops and uses samples from such well-known drummers as Terry Bozzio, Sly Dunbar and Alan White. Airturn is showing off its hands-free, Bluetooth foot pedals which can be used as wireless page-turners, a virtual stomp box for iOS recording apps, and to control iOS teleprompter applications. The company is also showing its handy Manos Mount microphone-stand mount for iPhones and iPads. New this year is the Digit II remote. About the size of a car remote, the DIGIT II’s four buttons can be used for presentations, to control iTunes, and even to trigger the iOS Camera app. Musitek is showing off its upcoming SmartScore NoteReader app for iOS. The free app allows you to scan sheet music with your iPhone’s or iPad’s camera and play the song on your iOS device. If you upgrade to their Premier version of the app ($10), you can export the files as MIDI or MusicXML File and share them with your friends. Download their free SmartScore Player for Mac and Windows and you can import the MusicXML file to change the instrumentation, tempo, and much more. Blue Microphones gave us a sneak peak at a new version of the Mikey Digital with Lightning. Coming in May of this year, the $99 Mikey Digital will be able to connect directly to iOS devices using the Lightning connector. The previous version connected to the 30-pin iOS dock connector but could work with iPhone 5 and later with the help of optional adapters. Like the previous Mikey Digital, Mikey Digital with Lightning will work with GarageBand and many other popular iOS recording apps and with the video capture functionality of iOS’s built-in Camera app to record high-quality audio. Blue also is showing its $200 Spark Digital studio condenser microphone, a digital version of the company’s popular Spark professional studio microphone. The Spark Digital can connect to your Mac via USB 2.0 as well as iOS devices with either Lightning or 30-pin connectors. 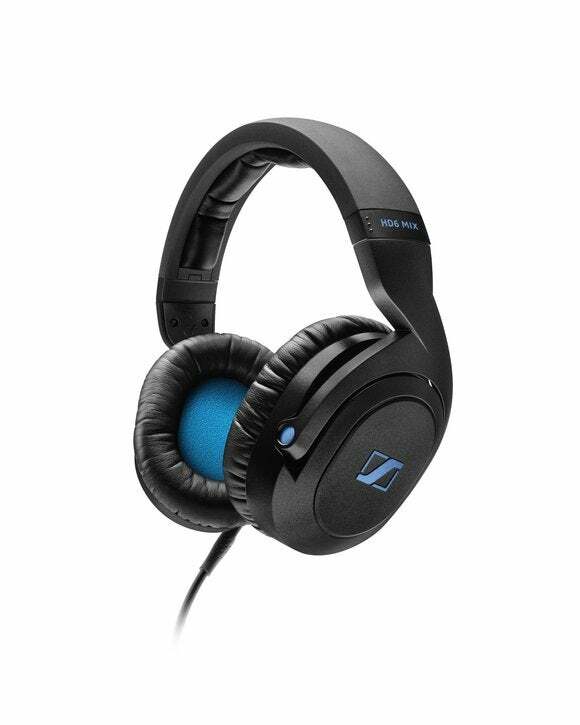 Sennheiser is demonstrating its line of professional headphones: the HD6 Mix ($280), HD7 DJ ($339), and HD8 DJ ($390). All three products come with both coiled and straight cables and the cables can be moved from one side to the other—nice features for pros who wear these headphones for hours at a time. The HD6 MIX has an impedance rating of 150 ohms, matched to most professional studio equipment, while the HD7 DJ and HD8 DJ have an impedance rating of 95 Ohms which matches most professional DJ equipment.